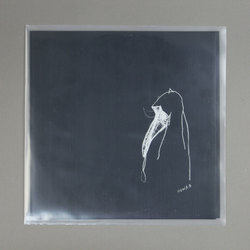 Various Artists - Two Spirits - EP. Vinyl EP. Bleep. UVB-76 Music presents the future sound of tech-heavy DNB with this proper going for gold compilation. On the A-side Entire and Nekyia each lay down the law with some deep rollers that switch lanes between Pessimist and the CUB gear from Regis. While on the B-side Forest Drive West submerges a proper fresh array of Paradox style breakbeats into a deep freeze before DB1 drops the comps heaviest cut with the mechanical dystopia of Duppy Pulse. Sick 12"